Provide comfort for the family of Selma Asmar with a meaningful gesture of sympathy. 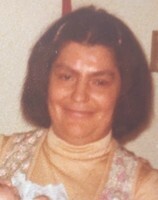 A sister to; Asmar, Ramzi, Najat, late Walid, Mikhail, and Habib Asmar. To send flowers in memory of Selma Dawood Asmar, please visit our Heartfelt Sympathies Store. Provide comfort for the family of Selma Dawood Asmar by sending flowers. I am very sorry to hear about your loss. I offer my condolences to you and your family. Please take comfort in God's promises at John 5:28,29. He assures us that he will awaken those who have fallen asleep in death. What a comforting promise!